Tonight on Mix 107.7, the North Lamar Pantherettes will host the Paris Lady Cats at 6:00 pm. The Pantherettes defeated Paris 22–0 the first time they played. In other softball action, Prairiland travels to Winnsboro, Chisum is at Cooper, Detroit is at Rivercrest, and Honey Grove hosts Ector. On the baseball diamond, the Paris Wildcats will be at Pittsburg, North Lamar travels to Liberty Eylau, and Prairiland hosts Commerce. 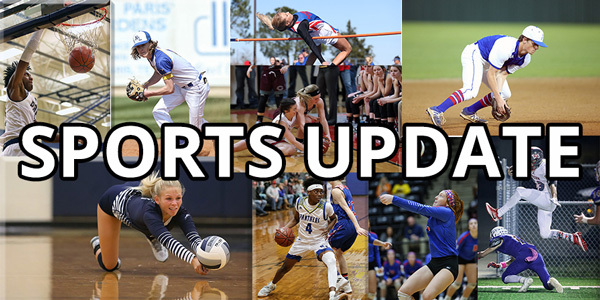 Chapel Hill is at Chisum, Cooper travels to Winnsboro, Honey Grove hosts Wolfe City and McCleod is at Detroit. The Paris soccer teams are in action tonight. The boys will play Kilgore in Pittsburg while the girls play Athens in Sulphur Springs. Despite a dazzling outing from starter Brock Burke, the Frisco RoughRiders dropped their season opener, 3–0, to the Midland RockHounds Thursday night at Dr. Pepper Ballpark. Burke allowed just one unearned run on six hits in five innings of work, striking out four while not issuing any walks. The Texas Rangers began a four-game series with the Angels last night. Joey Gallo hit a three-run homer and Ronald Guzman added a two-run shot in the first inning, and the Texas Rangers extended their strong start with an 11-4 victory over the Los Angeles Angels on Thursday night. They will go at it again tonight at 9:07 pm with Lynn vs Pena. The Mavericks host Memphis tonight And the Stars play in Chicago. Dallas still doesn’t know who their first-round opponent will be in the playoffs. Tonight it’s the NCAA Women’s Final Four in Tampa on ESPN2. Game one will feature No. 1 Baylor and No. 2 Oregon at 6:00 pm. In the nightcap, it’s No. 1 Notre Dame and No. 2 UCONN at 8:00 pm. The Championship game will be played Sunday at 5:00 pm on ESPN. The men will play tomorrow in Minneapolis on CBS. At 5:09 pm it will be No. 5 Auburn vs No. 1 Virginia. Then, at 7:49 pm No. 3 Texas Tech taking on No. 2 Michigan State. The Championship game will be Monday night at 8:00 pm, also on CBS. Houston coach Kelvin Sampson has signed a contract extension to remain with the Cougars through the 2024-25 season, the school announced Thursday. The new deal will pay Sampson $18-million over the next six seasons. Sampson had been the primary candidate for the Arkansas job once the Razorbacks fired Mike Anderson last month. The Kansas City Chiefs became the first NFL team to sign a player from the Alliance of American Football with the addition of cornerback Keith Reaser. The AAF suspended operations earlier this week and announced Thursday that all of the league’s players were allowed to sign with NFL teams. The Chiefs will give Reaser $100,000 up front in the form of a $50,000 signing bonus, a $25,000 workout bonus, and a $25,000 roster bonus, the source said. Reaser had played for the league-best Orlando Apollos and made three interceptions and 12 tackles in the eight-game season.